tradition. You won’t find Mzansi flavour anywhere else in the world! Koeksisters alone are goodness galore, but koeksisters filled with ice cream? That’s a twist that will have everybody asking for more! What’s not to like about these mouthwatering and flavourful cupcakes with a Rooibos Tea and Amasi twist? It doesn’t get any more Mzansi than that! Yes, yes, this is a British original but have it le di Gemere and that’s the South African way of doing it. Certainly one of our top 5 Mzansi treats. 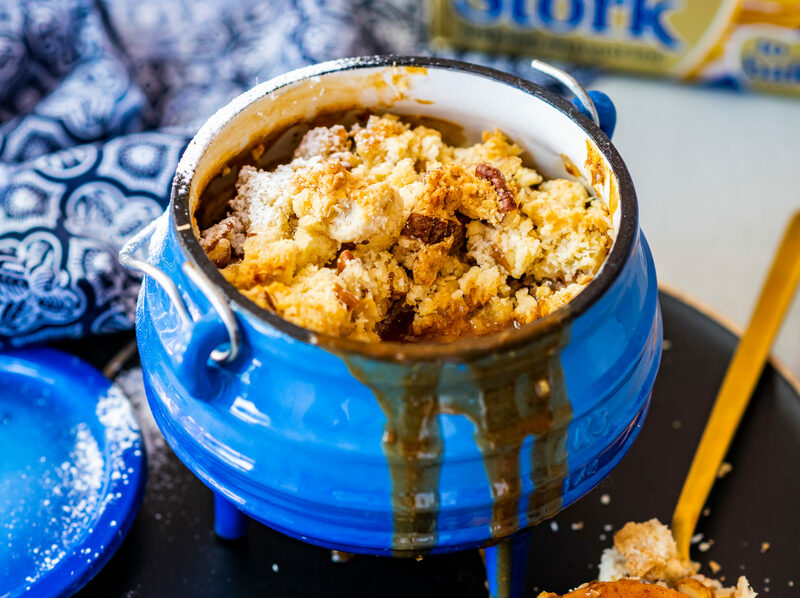 If you thought a sweet potjie is scandalous then this Salted Caramel Apple Crumble is about to change your mind. This treat oozes flavour and will satisfy your sweet cravings. Excited yet? You should be. The Stork Baking team of greatness have a lot of Mmmzansi coming up so check back regularly for more bakespiration and recipes.